Black Narcissus. The name suggests nighttime, malignancy, eroticism. Famously dubbed the Film Noir perfume for expressing in perfume language that genre's contrast between light and dark, white flowers and animalic musk, she (to personify Narcisse Noir) is also beautiful and dangerous, a femme fatale only in it for herself even though she gussies herself up to lure you in. Created by Caron founder Ernest Daltroff, Narcisse Noir, often categorized as a floral oriental, is indeed heady. It is sweet like the white Datura flowers flourishing in the front yards of San Francisco Victorians and whose white flowers surprise you by growing upside down with Satanic portent. But just as Narcisse Noir's almost cloyingly sweet flowers rise up — its musky/incensey/civety/sandalwood base, like a moll's gangster standing behind her with a drawn gun — reminds you that she's not that innocent. I've seen different perfume notes for Narcisse Noir listed. I detect a sweet floral plus huge doses of honey, sandalwood, amber, and civet. (Am I just imagining the honey?) Writers often talk about orange blossom, and perhaps I don't have enough reference points for that, or that the animalic base so distorts the florals that I simply can't tell what they are individually. I will list below the notes Roja Dove confirms in The Essence of Perfume about the vintage parfum. I was initially so repulsed by Narcisse Noir months ago when I first smelled it that I almost didn't want to open the vial again, but I've since given it a try again and as overwhelmingly sweet as the opening is — like downing syrup in one gulp — the perfume really does seduce you. The stunning sweetness is immediately accompanied by the darker, muskier and sexier base. 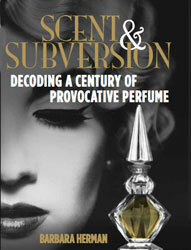 One of my favorite perfume writers, the perfume historian Octavian Coifan from 1000Fragrances cites Chanel No. 5 creator Ernest Beaux's opinion of Narcisse Noir. In his notebooks, he wrote of Narcisse Noir that it was a fragrance of the most striking vulgarity ("parfum d'une vulgarite tapageuse"). For me, generally, something vulgar tries to be beautiful with its flashiness but fails. Narcisse Noir is flashy, no doubt, but it is unmistakably beautiful in its too muchness. "Floriental, dark." "So strong is the orange blossom that it reminds me of Poison and its giant tuberose in its toxic sweetness." "Animalic orange blossom supported by incensey dark base." "It smells exactly like opium (the drug) in the drydown. Very musky, vulgar, delicious scent that makes you want to close your eyes and let 'the lady' hold you close." In the 1980s I found an unopened presentation bottle from around 1911 or so at a thrift store. I paid a whopping $1.99 for it. I broke the seal of the box, and there was a beautiful black bottle sitting on a little platform. It had a little label and a wax covered thread sealing the glass stopper. I got it open, and I though the fragrence heavenly. It was so very foreign, both as place and as time. I wore it constantly and it lasted me about 8 mos. It was completely different than the modern version available today. Would LOVE,LOVE,LOVE a review of another fragrance from the Caron line-Nocturnes de Caron. I first experienced it on a female stranger whose accompanying wheelchair bound husband had purchased it for her and was tickled pink when a teenager (that would be me!) approached her to ask what she was wearing. 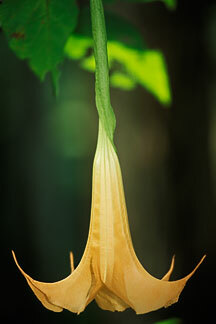 The scent was mesmerizing for me and I must have gone through about 20 bottles of it in the early to late 80s. Sadly, it was discontinued but will remain forever as one of my all time favorite fragrances. Barbara, I must share this amusing story with you- remember the co-worker who threw out all the vintage perfume of her grandmother that I told you about? Well, she told me yesterday that she saved a bottle of Fleur de Rocailles (because she liked the box!!!) and was using it as an air freshener in her bedroom!!! I told her to bring the bottle in ( I was secretly hoping to decant some! )which she did today. The gold wire was still attached but somehow some of the juice had leaked out. She was a bit apprehensive about letting me decant because my extreme exhuberance/enthusiasm made her reconsider "the prize" she had in her posession but she did with the stipulation that I not take too much as she liked the smell after I completely opened it and placed it on my wrist. WOW!WOW!WOW! It is heavenly and I will be huffing away all day!!! I would love for you to review more from the CARON line, especially this one and Nocturnes, which I find to be an extremely sublime but often overlooked fragrance from the Caron line. That's awesome, breathe31. I can't believe she was using it as air freshener! (Oy vey.) You've got me curious now about Rocailles and Nocturnes...so I'm on the hunt! I read that it was Gloria Swanson's favourite, and that she had it sprayed on the sets of Sunset Boulevard. Where can I buy Narcise Noir in Puerto Rico.